The first step is to open the list of printers. 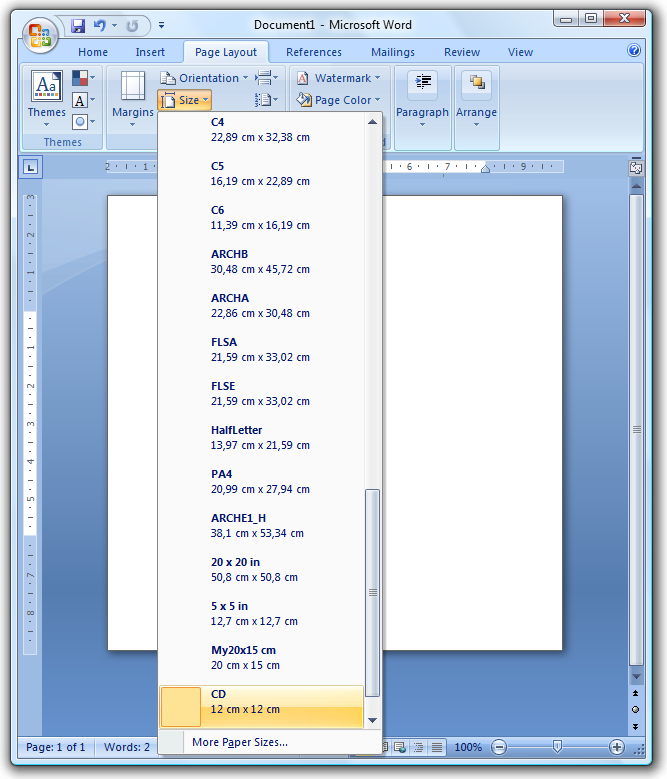 You can reach the list of printers through the Control Panel. 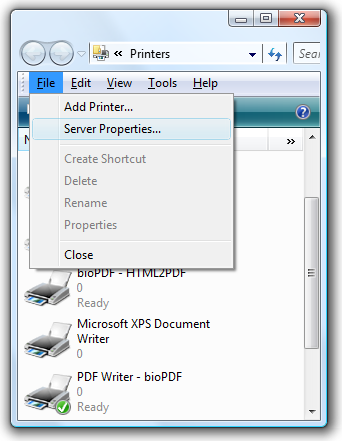 In the list of printers you must press Alt-F (English shortcut) to reach the file menu. 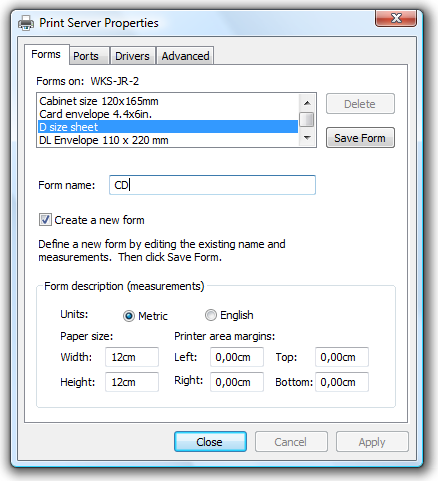 Select Server Properties... from the file menu.